Over 100,000 people marched in Barcelona on Saturday, to demand the freedom for political prisoners, return of exiles and an end to reprisals by the Spanish state. 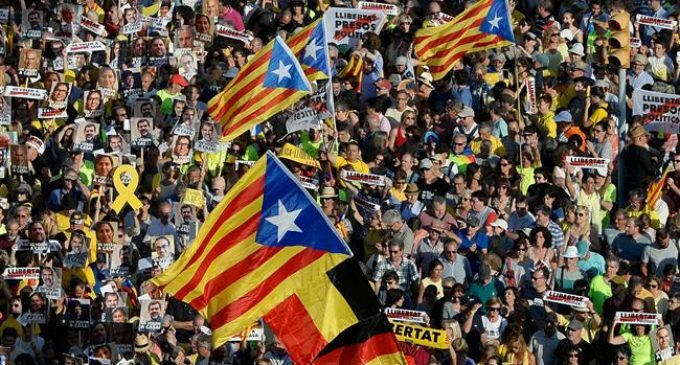 The protesters marched through the city, carrying a big banner, reading “Not as prisoners, not as exiles, we want them [Catalan politicians] at home”, as well as numerous Catalan flags. The march was organised by grassroots campaigners from Omnium Cultural, la ANC y la Associacio Catalans pels Drets Civils.